Knowledge playground is an innovative, quick learning online application developed by the creatively eloquent team at WITS Interactive for the Ben and Bella series. 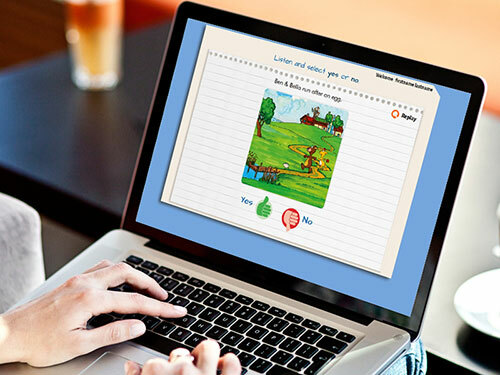 This learning app not only promotes the Ben and Bella products but also helps in enhancing children's knowledge. Knowledge Playground helps the user in registering either as a 'Parent' or 'Teacher' and then aid in registering kids who can then give the Ben and Bella exam and receive a certificate for the same. The parent/teacher can register as many kids as they want so the kids can give exams and answer questions regarding the Ben and Bella products. The application also provides an analytic report that helps the parent/teacher in acknowledging the intellectual status of the kids. An alluringly well designed application that not only promotes Ben and Bella products and markets their creditability but also helps in enhancing the learning process and knowledge of kids.